I am delighted to be here in Singapore – my first overseas visit since I took up the post last month as Chief Executive of the Hong Kong Special Administrative Region. I am pleased to see many friends here today. A warm welcome to you all to this exhibition of remarkable photographs, “Lee Fook Chee: Son of Singapore, Photographer of Hong Kong”. This exhibition not only conveys the photographer’s keen creative eye and interest in his subject, it also captures a time when Hong Kong was entering a period of huge post-war transformation. Back in the 1950s, Hong Kong had a population of just over 2 million; the city was gaining a reputation as a manufacturing hub, and Cantonese opera was a popular source of family entertainment. Fast-forward to the present day: Hong Kong is home to more than 7 million people, over 90 per cent of our GDP is derived from services and we are fully plugged in to the digital era. This year, we are also celebrating the 20th anniversary of Hong Kong’s reunification with China, the most significant transition in our city’s history. 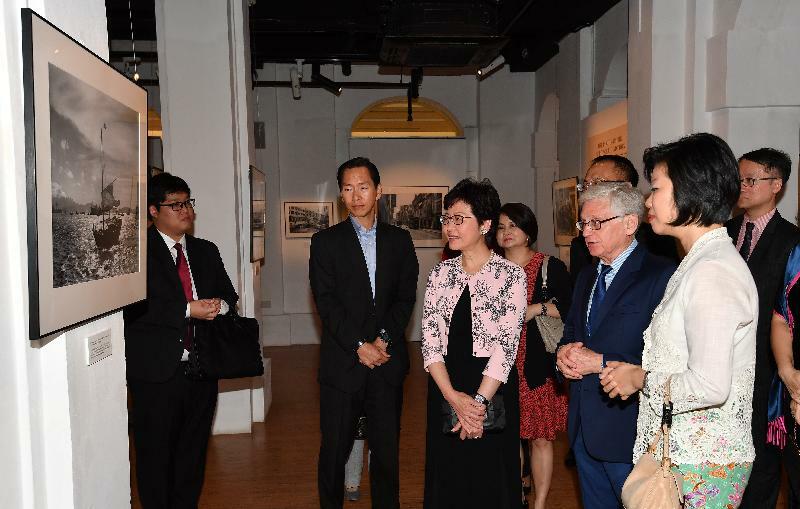 Finally, I want to congratulate our Economic and Trade Office in Singapore and Mr Edward Stokes of the Photographic Heritage Foundation on staging this exhibition together. 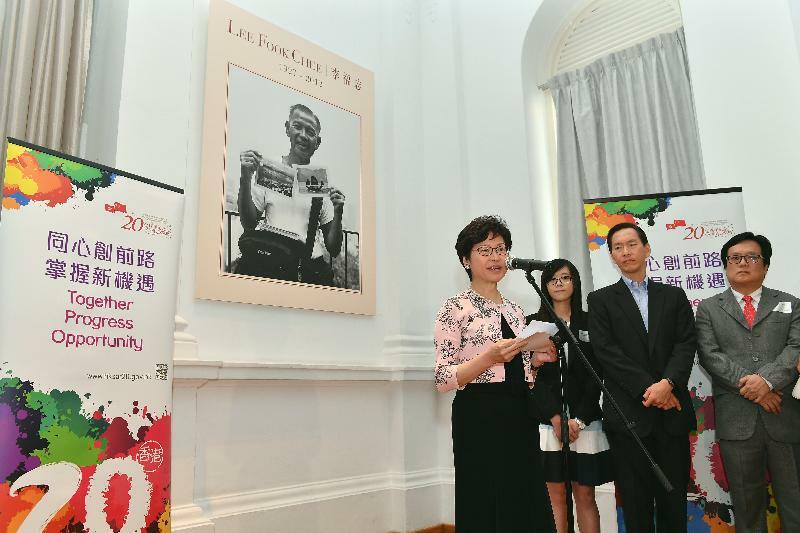 It is a fascinating and appropriate event on our programme of activities marking Hong Kong’s 20th anniversary. 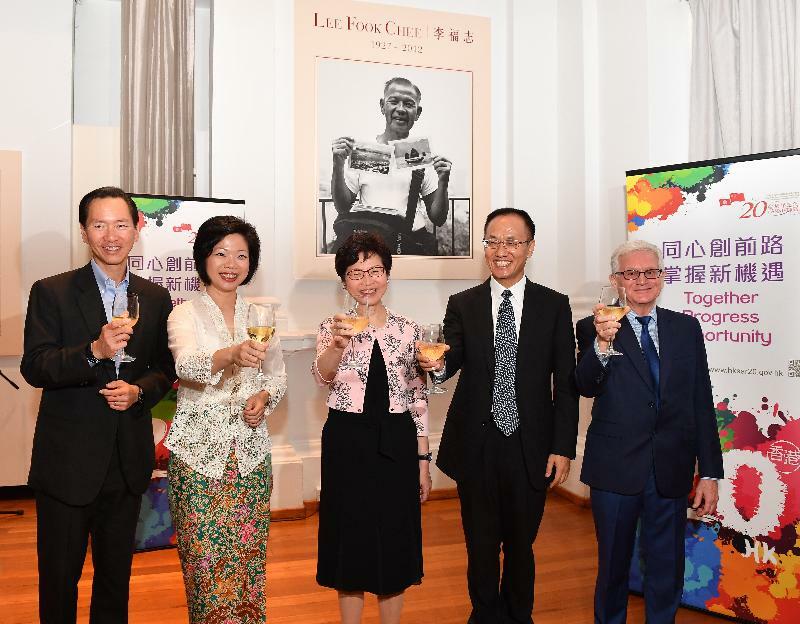 CE attends opening reception of photo exhibition "Lee Fook Chee - Son of Singapore, Photographer of Hong Kong"